Salt Air, Inc leverages the power of Google Ads (pay-per-click advertising) to generate $19,500 in closed business from an ad spend of $600/mo in the first 90 days of working with DesignLoud. Salt Air believes that regular heating and air maintenance should be made simple, convenient and that families should not have to open themselves up to financial risk just to keep their units functional. As such, Salt Air provides a full lineup of air conditioning/HVAC installation, repair, and maintenance services, as well as peerless guarantees. When working with clients who come to us interested in Digital Marketing, especially when they come from another agency, it is important for our team to show value in working with us by meeting on a regular basis to review goals, performance and results. Other agencies sometimes report on the number of views and clicks your ads receive. While we feel this is important, we also like to focus on the number of conversions (leads) generated for our clients. Maintaining this level of commitment to our clients allowed our team to become growth partners for Salt Air. 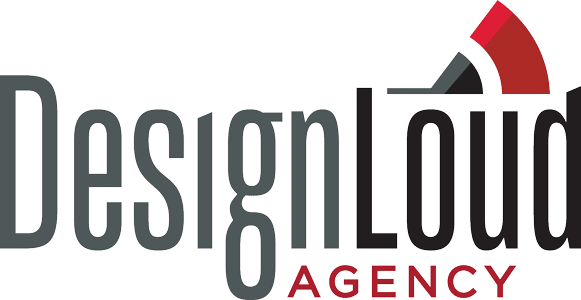 Salt Air, a residential and commercial heating and air company located in Wilmington, NC was working with another local agency for more than a year before approaching DesignLoud. Salt Air would only receive automated reports each month highlighting their Search Engine Optimization rankings and pay-per-click results such as impressions, clicks and click-through rate. Salt Air was unsure how to properly read the more complicated reports and had not seen an increase in rankings for 12 months. The reports on their paid advertising never included things like conversions (leads) so the only way Salt Air knew whether their ads were working or not was through a tracking software that they themselves set up. After working with this company for more than a year they were ready to find a new agency that aligned with their goals and expectations. When you participate in many forms of advertising it can be difficult to track whether or not it is working if you don’t have the right things or the right team in place. When we met with Salt Air, we told them about our approach to digital marketing and how we differ from other companies. For instance, we are selective about who we work with because we want to make sure we can add value to their business and truly become a growth partner and not just a vendor. We define and lay out goals and benchmarks for achieving those goals and then we hold ourselves accountable by meeting with our clients each month to review many facets of their campaign and report on results, in person! Our team went through the Salt Air website and cleaned up many SEO errors, improved content and implemented the key phrases that Salt Air wanted to rank for. Our team pulled data to determine which key phrases were being searched for the most in the client’s target areas, as well as any opportunities for highly searched, but low competition keywords. Because Salt Air already had account history in Google Ads, we used this data to create an entirely new campaign, ad sets, ads and keyword buckets. We set up conversion tracking throughout the website and the ads to allow us to report on the number of leads generated from our efforts. Once we launched the campaign, we monitored the progress of the campaign very closely to make sure we were not wasting money on unqualified traffic. Google Ads showed 42 conversions in 90 days with 386 clicks at an average cost per click of $4.72. After meeting with Salt Air on the third-month review, we used their tracking software to determine how many of those leads actually turned into closed business. Devin Skipper with Salt Air told us that he successfully tracked $19,500 in business generated from his work with us on Google Ads and his total 90-day advertising spend was $1700. After 90 days, the Salt Air website began ranking on the first page for their primary keywords as indicated by the blue line above. You will see that the website was competing with a local heating and air franchise for the 1st position of the first page and after 90 days started to outrank this competitors website in Google, Bing and Yahoo. While each client is different and results vary, we do take pride in the accountability part of our job and we love working with Salt Air and being their growth partner in the digital landscape. Want results like these? Contact us through our website or give us a call at 910.302.3286 and let’s have coffee to see if we’re a fit!